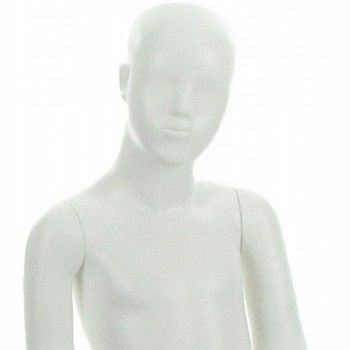 This mannequin is a mannequin abstract 4 year old. He lightly drawn facial features. In the neutral position, this cute child mannequin adapts to any type of showcase and trends. 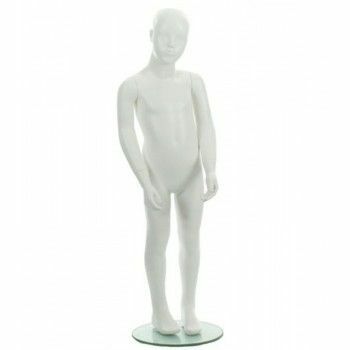 The face, a bit sulky, of this child mannequin gives it a lot of personality. In white color, it is possible to paint it in different colors and in different finish: matt, glossy, satin. 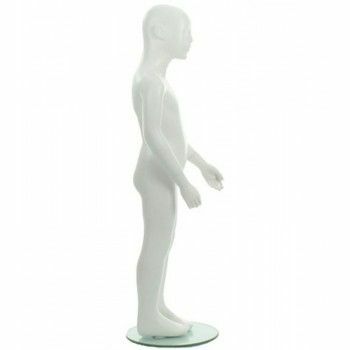 Available in delivery, this mannequin is supplied with round glass base that attaches to the feet.